​Litang Family Chiropractic in Marshall, WI provides quality care to patients through the expertise of Dr. Sandra Litang. We believe in good health that's simple, straightforward and effective. Dr. Sandra Litang-Canon has helped thousands of people of all ages find relief naturally from their pain and even recover from auto accidents, sports and work injuries. This has all been achieved for our patients without drugs or surgery and without giving up the attentive, personalized care we believe each and every person deserves. Call our office at 608-655-4164 for an appointment today! 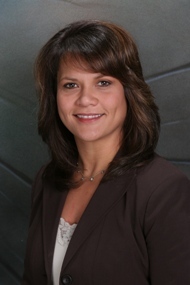 Dr. Sandra Litang-Canon specializes in back, neck and extremity pain. Chiropractors are unparalleled in their knowledge of the back and neck. Chiropractic treatment offers you hands-on, effective treatments which can help to relieve your back, neck, and extremity pain. Chiropractic treatments do not include surgery or medications, which means you will be offered alternatives which are non-invasive, hands-on and effective.